KidsCan! 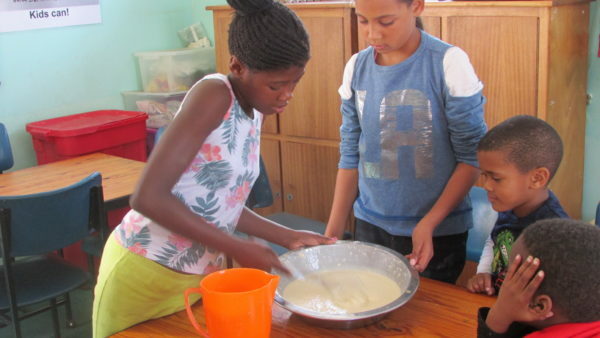 is a non-profit organisation in the rural Kleinmond area, South Africa, that helps 35 underprivilege and vulnerable primary school children become contributing members of society by offering a safe after school care centre where they receive a daily meal, can improve academically, and are given opportunities for self-development. 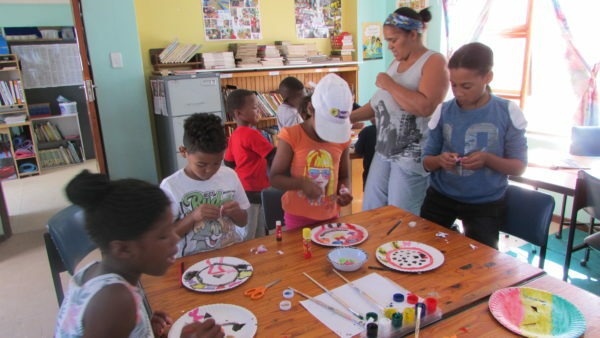 We put an exclamation mark behind a successful holiday programme! 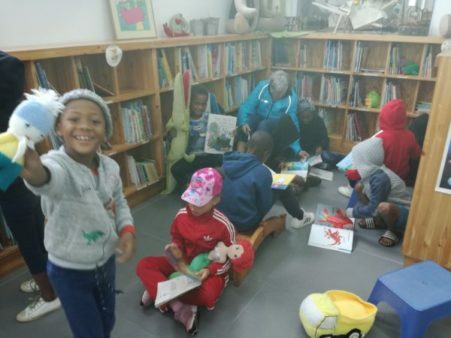 Activities included outdoor & indoor games; reading & visiting the library for Storytelling Day; Pavement Picasso; making masks, dressing up & putting together short plays for World Theatre Day; making pancakes; daily visiting one of 10 Stations of the Cross. 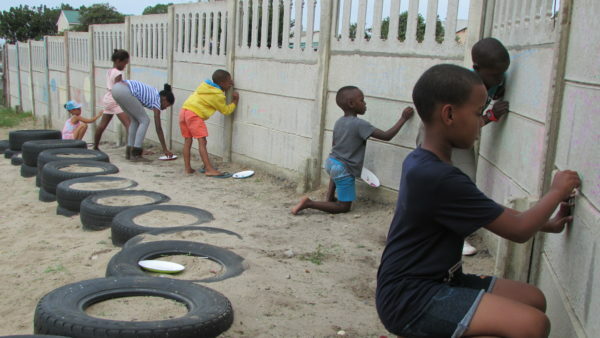 This recycle and upcycle project came about when many residents were rightfully concerned about the abrupt halt to waste recycling activities in the Overstrand since the riots in Hermanus in July 2018. We decided to turn lemons into lemonade! 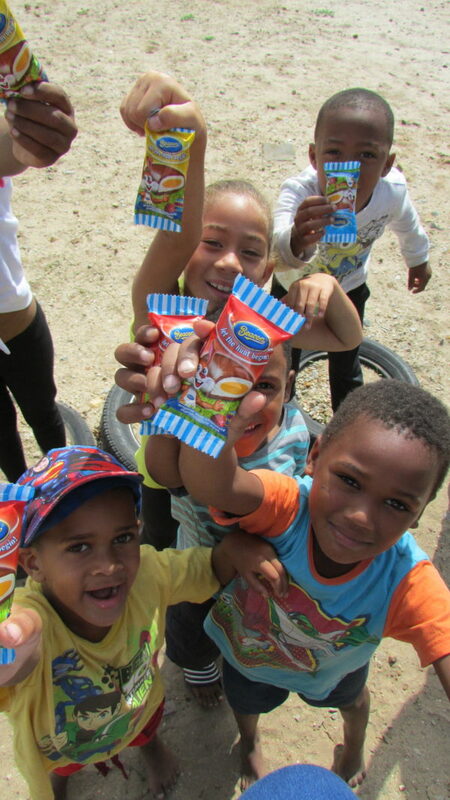 Local businesses and households were mobilised to recycle cooldrink tins and food cans. These are upcycled into beautiful, useful items to adorn desks, dinner tables, window sills and display units in homes across the world! These original designs are by KidsCan! 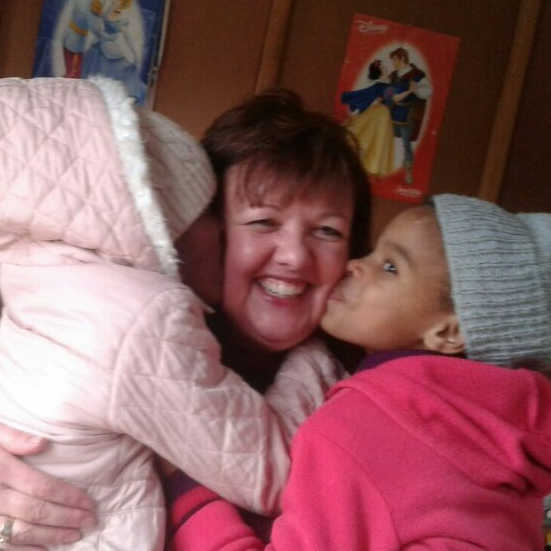 founder, Linda Bruce, who is a care-campaigner, outside-the-box thinker and creativity-encourager. 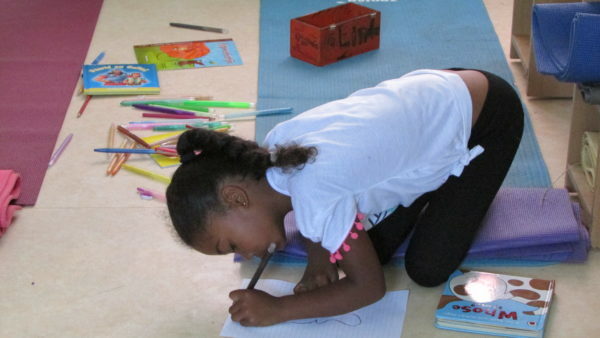 When you buy these upcycled products, you are doing #2GoodDeeds: caring for the environment and helping KidsCan! 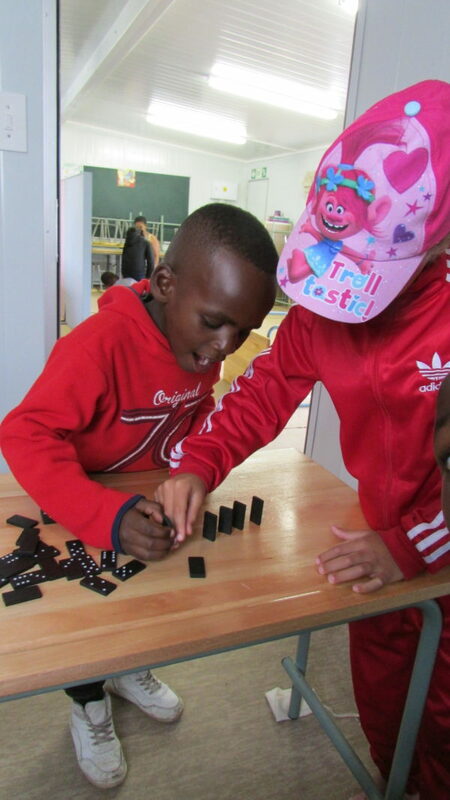 set children up for life. KidsCan! 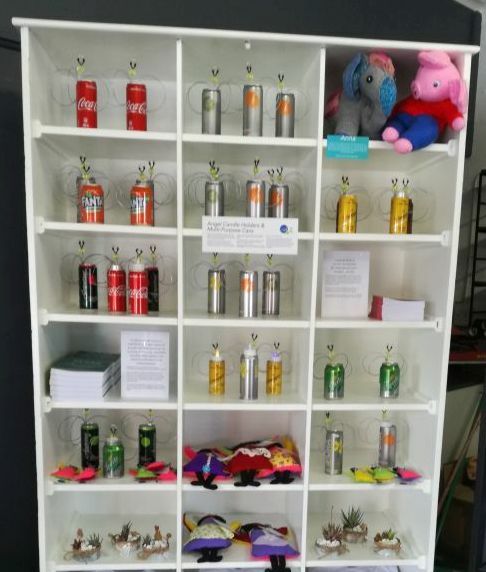 thanks those of you who recycled by giving us your cans and tins. 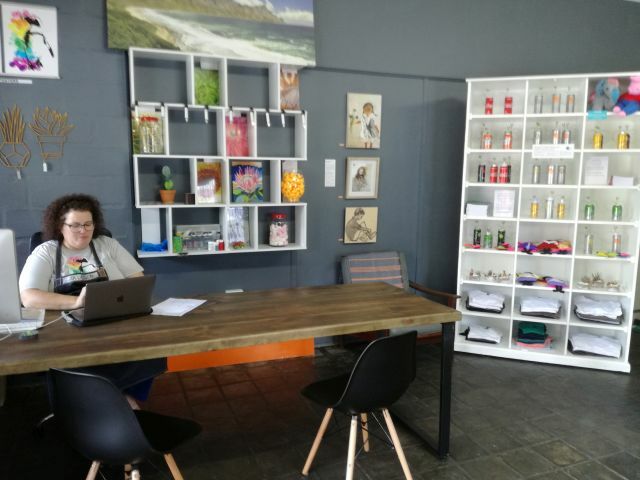 A special thank you to Bistro 365, Pringle Bay. 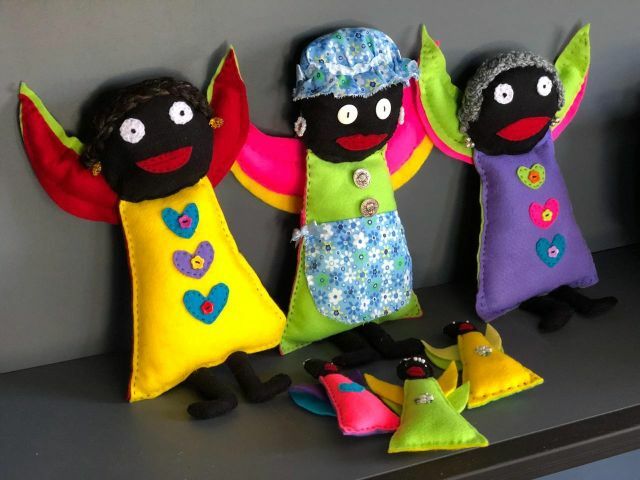 Our felt African Angels are the colourful, creative handywork of local volunteers who support KidsCan! Each African Angel is different, with unique head gear, other frills and accessories. 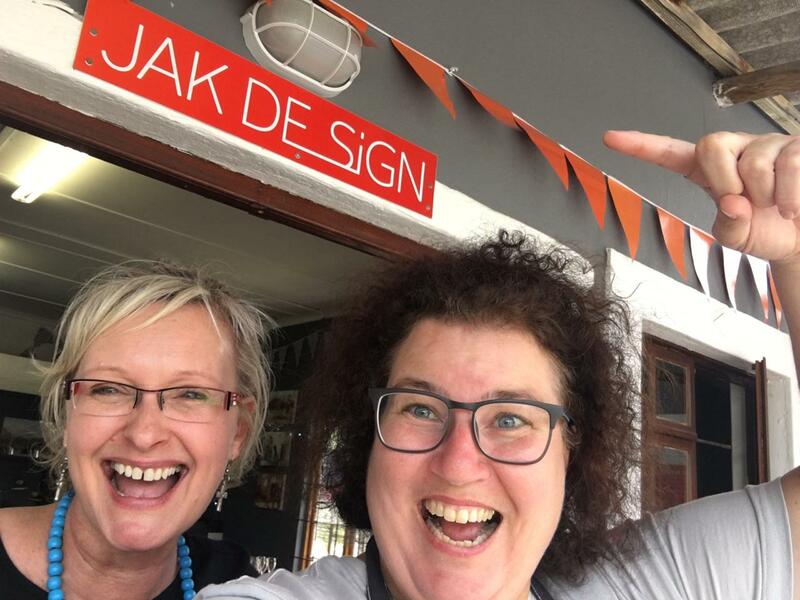 We are also thankful that the new Jak De_sign shop in Harbour Rd, Kleinmond, is willing to rent us a cupboard space to sell our upcycled goodies and other creative product to raise funds for KidsCan!. 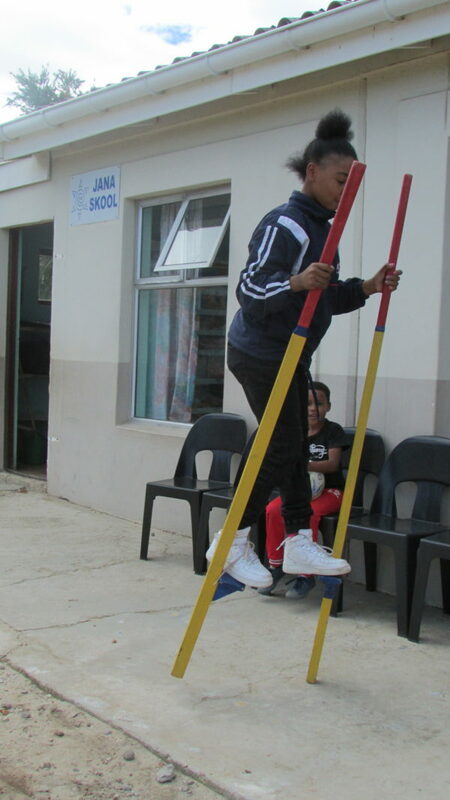 Please visit and support us at the shop or order directly at info@kidscan.co.za. A KidsCan! 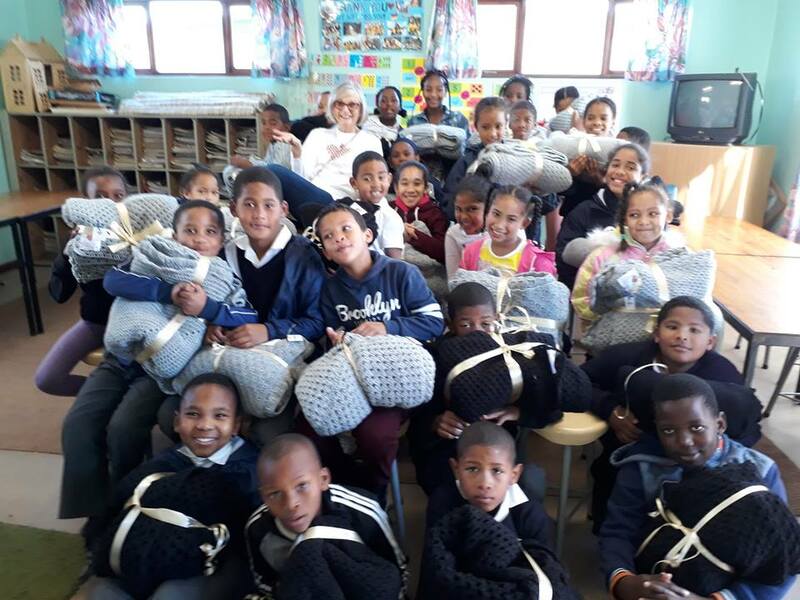 friend, Gaenor, with the help of her Jo’burg friend, managed to gather 40 crochet blankets to donate to each child! 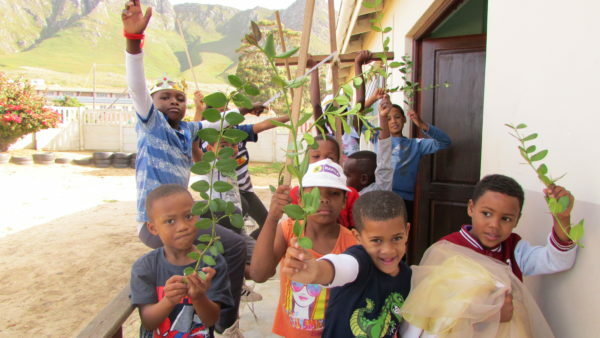 These were all handmade by friends from all over the country for Mandela Day. Thanks to everyone involved. 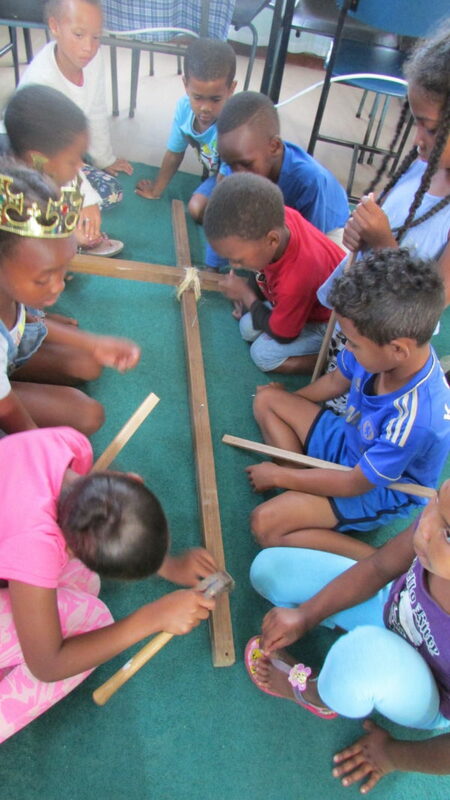 Happy children will sleep warm this winter. Yes! Mandela Day came early this year. 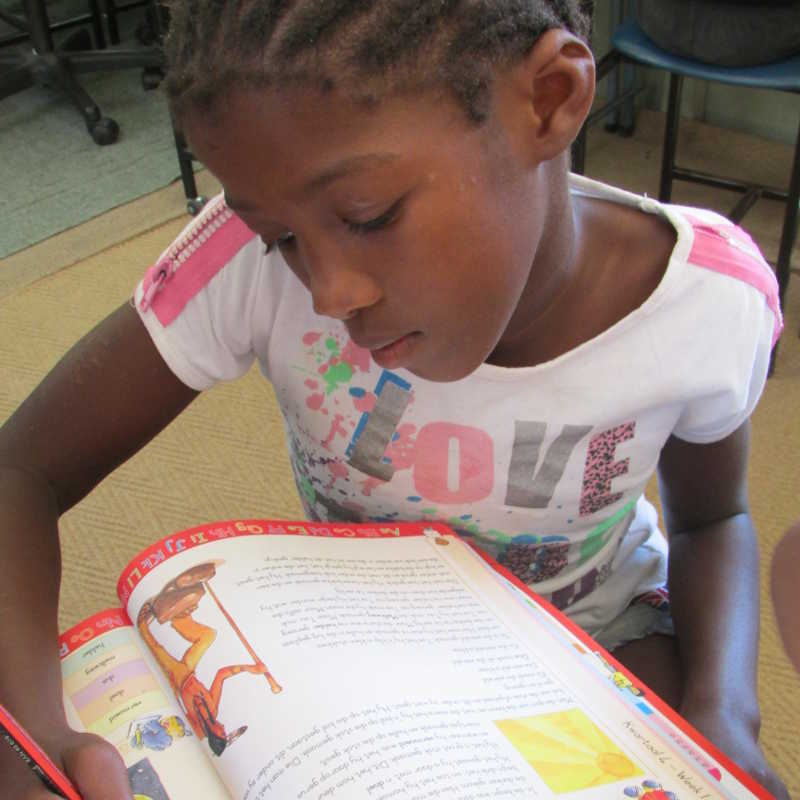 Since the days are already quite cold, we didn’t want to wait until July to hand out the blankets. 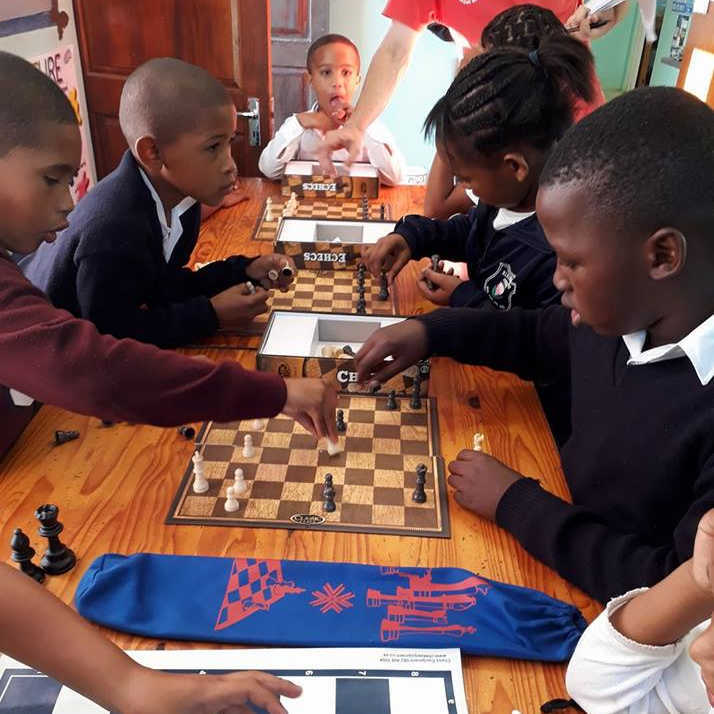 We share the vision of the Western Cape Government After School Game Changer programme to improve literacy and numeracy outcomes, inspire a culture of learning, stem school dropouts and improve matric results. 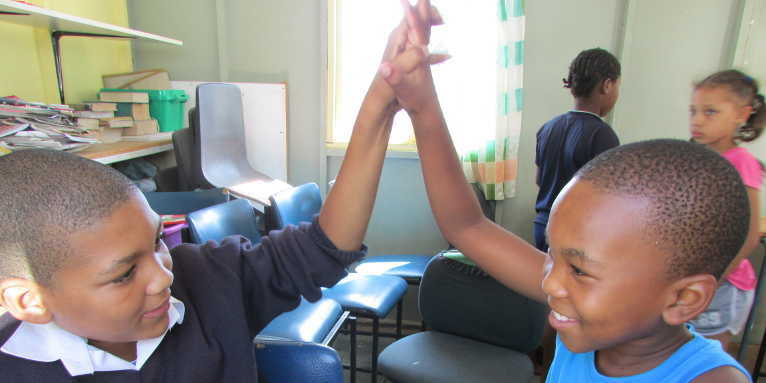 After School Game Changer also aims to build bridges between communities and expand the horizons and skills of participants.